If you want to wear contact lenses but have had trouble wearing them in the past  or you've been told you are not a good candidate for contacts  scleral contact lenses may be the solution you are looking for. Because of their size, scleral lenses are more stable on the eye than conventional GP lenses  so they are less likely to accidentally dislodge from the eye. This stability also can make them more comfortable than conventional GP lenses; scleral lenses provide initial comfort similar to soft lenses, especially for sensitive eyes or irregularly shaped corneas. Corneo-scleral lenses and semi-scleral lenses are much larger larger than conventional GP lenses and rest near the junction between the cornea and the sclera. Mini-scleral lenses vault over the entire corneal surface and rest on the anterior sclera. Irregular corneas. Vision problems caused by an irregularly shaped cornea  whether naturally occurring, due to an eye condition such as keratoconus, or resulting from eye surgery  typically cannot be fully corrected with glasses or soft contact lenses. 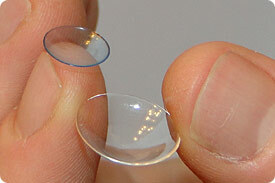 Scleral lenses typically will provide sharper vision for these eyes. Scleral lenses are custom-made to the exact specifications prescribed by your eye doctor to provide the best possible vision, eye health and comfort. Also, special automated measuring tools and imaging devices often are used to fit scleral lenses, and these instruments typically are not required for fitting soft lenses. For these reasons, professional fees associated with fitting scleral lenses and lens replacement costs are higher for scleral lenses than other contact lenses. 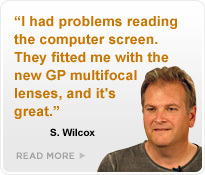 Your eye care provider can advise you of specific costs for your individual needs.